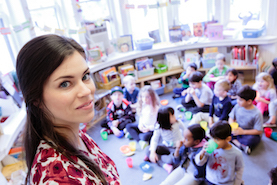 The Master of Teaching program is one of the premier teacher education programs in Canada, combining a Master of Teaching degree with elementary or secondary teacher certification. 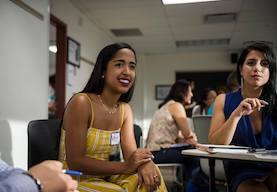 You earn a two-year Master of Teaching degree at the Ontario Institute for Studies in Education at the University of Toronto. Designed for people who are looking to become exceptional teachers. We are committed to excellence and the preparation of the next generation of educational leaders. We are still accepting applications for the Intermediate-Senior division. Applications for the Primary-Junior and Junior-Intermediate division are now closed. Note for Intermediate-Senior applicants: We are now offering two new teachable subjects: Business Studies General and Business Studies Accounting. Click here for a full list of IS teachables. 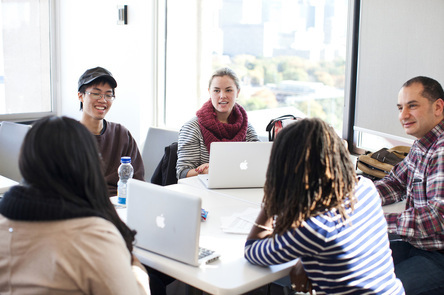 The MT graduate curriculum carefully guides you through your development as a teacher. You will learn about educational theory and research-informed best practices. The practicum component of the MT program will provide you with an opportunity to develop your skills as a teacher in a variety of classrooms and learning situations. As part of the MT graduate program, you will be exposed to educational research across a wide variety of educational disciplines and specializations.